Our writers offer quality writing and we are the best model writing service on the web. Just check it out our website page https://typemyessays.com/essay-writing-help. We know that it is important to complete your projects successfully and provide quality products will make them satisfied. Exceptional talent is often the melding of innate gifts, seasoned by experience, tempered by challenges, and bolstered by a spirit of innovation. These attributes characterize Todd Hallett’s professional journey which began at a drafting table when he was just 19 under the tutelage of renowned architect Ron Mayotte of Mayotte and Associates. At Mayotte, Todd’s skills and work ethic were rewarded when at age 22 he became the only person in the history of this prestigious firm, except Ron Mayotte, to take on design duties. The quest to more fully understand day-to-day residential homebuilding operations, with the end goal of integrating that vital knowledge into his future architectural designs, provided the impetus in 1996 for Todd to become a member of the team at Delcor Homes in Milford, Michigan. Todd’s construction solutions contributed to the company becoming, in 1999, the first homebuilder in the nation to achieve ISO 9000 certification. ISO certification is a set of international standards of quality measurement and assurance which result in higher quality at lower costs derived from completing work correctly the first time it is done. Within 5 years, Delcor was building 200 homes per year and nearing its goal of zero defects per home. Todd, who through the years had been involved in every aspect of this $50 million company, was named as its president in 2002. Upon the sale of Delcor, Todd and his wife, Katie, founded TK Design & Associates. Combining his exceptional design skills with his residential building expertise, Todd offers customers a unique melding of vision and practicality which results in award winning, cost effective and truly livable homes. 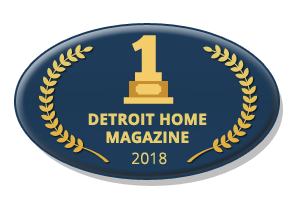 For a record seven consecutive years, the homes he has designed have garnered the Parade of Homes top award, the Blue Ribbon Award for Best Home, from the Building Industry Association (BIA) of Southeastern Michigan. His versatility has helped him capture BIA awards for Best Home Design in the $600,000 Plus Price Range, as well as Best Home Under $300,000. The work he began at Delcor to drive defects out of the building process led to his being honored at the 2008 International Builder Show as one of 30 individuals under 40 years old who have had the largest impact on the nation’s building industry in terms of building systems. Todd continues to lead in this area, turning his focus to green building, an outcome of a design process which focuses on increasing the efficiency of resource use, while reducing a building’s impact on human health and the environment. In 2007, Todd received the Green Build Award from the BIA. In 2010 Todd was asked to join forces with TrueNorth Development, a company known across North America and Australia, as the leading experts in applying Lean methods to the homebuilding industry. In their search throughout the country for an Architect with muddy shoes they found Todd only 30 miles away. His talent combined with his building experience made him TrueNorth’s Architect of choice to collaborate with on Lean Design processes and procedures. Todd’s expertise is not limited to new construction. He is also experienced in all aspects of home remodeling. He is a featured author for the quarterly “Ask the Expert” column in Women’s Day Remodeling & Makeovers magazine. In addition, Todd has designed commercial and multi-family projects throughout the U.S., including his most recent work on the Spa and Wellness Center at The Villages at Tullymoor in Stanwood, Michigan. Todd holds a Bachelor of Architecture degree from Lawrence Technological University in Southfield, Michigan and is licensed in the states of Maine and Colorado. He is a Certified-Aging-in-Place Specialist (CAPS) by the National Association of Home Builders. He is a member of the American Institute of Architects (AIA), the Building Industry Association of Southeastern Michigan, the Michigan Association of Home Builders and the National Association of Home Builders. While awards and accolades are valued, on a professional level Todd derives ultimate satisfaction from nurturing a business built almost exclusively on referrals from previous clients. On a personal level, Todd counts his greatest achievements as his marriage to wife, Katie, and the nurturing of the couple’s four children. Katie Hallett knows homes. More importantly, Katie knows home buyers! Not only what they regard as aesthetically pleasing and functional in a home’s design, but also what transforms a client’s dream into a dream home. As the daughter of a builder, Katie literally grew up on construction job sites. Upon graduation with a degree in English from Michigan State University in 1987, Katie spent 10 years developing her sales and marketing prowess for several prominent building companies in the metropolitan Detroit area. Joining Delcor Homes in Milford, Michigan, in 1999 as Vice President of Sales and Marketing, Katie led the sales team which managed customer relationships with over 5,000 prospects and 200+ families who purchased the company’s homes each year. Katie and her team managed the entire purchase process for clients, from site selection, to interior selections, to new home orientations. Katie also managed the marketing of each new Delcor community in southeastern Michigan, as well as the company’s promotion of its achievement as the first ISO certified home builder in the nation. Eric has worked as a construction site laborer, a finish carpenter, a construction materials estimator, an architectural draftsperson, an architectural designer, and co-owner of a residential remodeling and new construction company. “When it comes to home building, I have dug the trenches, installed the shingles, and done everything in between” Says Eric. With each successive position, over more than 30 years in the residential home design and building industry, Eric has expanded his knowledge of every facet of home construction. He has worked previously as a CAD designer and manager with prominent firms such as Pulte Group, Dominick Tringali Architects and Lombardo & Associates Engineers. It is this mix of hands-on, practical, “in the trenches” experience, coupled with a unique talent for understanding and resolving challenges, which Eric brings to his position as Production Director with T.K. Design & Associates. Since Eric joined T.K. Design & Associates in 2011, he has worked closely with Todd and Katie Hallett to grow the company. He loves a challenge so it's only natural that he excels at process improvement. Eric is well known for his consulting skills, which have assisted builders across the nation in ferreting out waste in systems and processes, reducing costs for their businesses and for their new home buyers. He has also worked with State of Michigan officials, lending his expertise to improve building code requirements. Eric has held a residential builders license in multiple states including Michigan since 1995. He believes that his broad-based experience is an asset to his clients. "Being part of the T.K. Design team that travels and works across the United States, and even abroad, has given me a unique perspective on many different design types and construction methods," said Eric. "My background and experience provides me the knowledge to solve any problem in residential home construction and design and I am often challenged to do so." Mike Latimer is a unique craftsman. His hands have built homes, as well as skillfully drawn them. His practical knowledge of building provides him with a unique perspective on how to design residential homes that combine charming aesthetics, functional livability and cost savings through lean building practices. Mike’s residential home design career actually began with one of his early career positions as a rough framer with Lakewood Construction in Northville, Michigan. As a rough framer, working on the skeleton of buildings, Mike was responsible for building the most important structural component of both residential and commercial buildings. Measuring, cutting and assembling lumber for walls and other structural elements, Mike learned to use his geometry and math skills, read blueprints and work quickly and efficiently with precision, all the while absorbing what makes a good design work. Mike 's passion for building design led him to study at Lawrence Technological University where he won several student design competitions before graduating with a Bachelor of Science in Architectural Engineering. While pursuing his degree, Mike worked as a maintenance technician at the Sterling Business Center in Brighton. Subsequent to that, he worked as a project manager and engineering consulting department head at TWF Solutions in Brighton. He also served as a designer and builder with Legacy Studios in Pinckney for several years before joining TK Design & Associates in 2013. Today, Mike uses the experience and knowledge he has acquired in his over 10 years of work in residential construction to solve design challenges using lean building practices. His focus is always on finding ways to improve on home designs while reducing building costs, working in collaboration with clients to create warm and inviting places that they are proud to call home. Bill Frush was hired as an architectural designer with TK Design & Associates in 2013. When Bill joined TK Design & Associates, Todd and Katie Hallett knew what a valuable asset they had added to their design team. Bill’s talents were well known to the couple, as Todd had hired Bill to work with him in the Design Department of Delcor Homes in 1999, and had served as his mentor and supervisor for the next 4 years. Bill has spent his whole career in architectural design. At the age of 19, he joined an architectural firm in Canton, Michigan. For the next five years, while working full time, Bill attended Lawrence Technological University. After graduating with a Bachelor of Architecture, Bill joined Todd and the Delcor Homes design team. He continued to work with Todd as an independent contractor with Delcor even after accepting a position with Couture Associates in Milford. In 2003, Bill accepted the challenge of leading the Design & Architecture Department at Adler Homes for the next five years. In 2009, with the downturn in the economy, and the resulting slowdown in residential home building, Bill founded a property preservation company. He managed his company for the next four years, prior to joining Todd and Katie at TK Design & Associates. Todd and Bill share a history of attention to quality and a passion for lean building design. Both also understand the practical needs of busy families. Married with four children of his own, Bill knows that each home the team designs is a special place where a family grows, and thrives and creates a host of special lifelong memories. It takes special talent to fully grasp a vision and then be able to transform it into a solid working plan on paper. Darren Mazurek possesses that gift. Darren has worked as a draftsperson and designer with Todd Hallett and the T.K. & Associates team since 2013, putting his impressive skills and expertise to good use to assist in transforming clients’ ideas and desires into reality. A graduate of Lawrence Technical University (LTU), with a Bachelor of Architecture degree, Darren previously worked as a computer-assisted design detailer with Contractors Steel Company in Livonia, Michigan, and as a project designer for Performance Engineering Group in Livonia. While attending LTU, Darren worked for builders Doug’s Ultimate Construction and Gene Brown & Sons in Plymouth and he eventually opened his own design company, completing about 20-30 projects in the city. Darren also did a stint on the West Coast as a project director for Robert L. Earl Architects & Associates, a Los Angeles-based firm which has won acclaim and awards for its multi-million dollar custom estates in the Beverly Hills and Palm Springs areas. In this position he not only polished up his construction document preparation skills, but also honed his project coordination and client relations expertise. Darren has mastered a host of computer-assisted design (CAD) software. That mastery, combined with his meticulous attention to detail, ensures that all the projects that he works on are done correctly the first time. It is this unique combination of knowledge, talent and focus which makes Darren an asset to the T.K. team and to our clients. Most people don’t like complexity. It confuses them and causes them anxiety. Annette Gleason is unique. She thrives on it. She loves the challenge of taking the chaos and organizing it into a cohesive, workable whole. That’s what has made her a superstar residential designer and an expert at construction project management. Annette has the knowledge to complement her skills, holding a Master of Architecture, with a concentration in Construction Project Management, from Lawrence Technical University. She also earned her Bachelor of Science in Architecture from Lawrence Tech. She has solid construction experience, too. Prior to joining the T.K. Design team in 2015, Annette was the project manager for the architectural glazing and outdoor structures division at Duo-Gard Industries in Canton, Michigan. In this position, she simultaneously kept 50 or more projects, totaling $3 million plus in sales, moving forward. Previous to that position, she served as a project architect with Brennan Architects in Charlotte, North Carolina, and as project manager with CHMP, Inc., in Grand Blanc, Michigan, for seven years. At CHMP she managed a diverse portfolio of commercial construction projects including schools, hospitals, retail stores and restaurants. Combine Annette's education, her design abilities, her project management expertise, her strong customer relationship management talents, together with her love of streamlining chaos and it's easy to understand why Annette is such a valued member of the T.K. Design team. Cory Benjamin is currently pursuing a Master of Architecture degree at Lawrence Technical University. He graduated from the university in 2013 with a Bachelor of Science in Architecture. While pursuing his bachelor’s degree Cory gained hands on experience in a variety of positions related to architecture, design, and construction. As a laborer with All Seasons Home Maintenance and Repair in Williamston, Michigan Cory provided assistance and labor through all stages of residential home maintenance projects, and was responsible for final inspection to ensure that projects were completed to established company standards. While with MJC Construction in Novi, Michigan he performed a similar role as a laborer and gained valuable experience in multifamily condominium construction. Early in his career, Cory interned with Victor Saroki & Associates Architects, PC. Cory also worked as a draftsman and field verifier at National CAD Services in Commerce Township prior to joining T.K. Design & Associates in 2015. Cory's building repair and maintenance background and field verification experience are valuable assets in his residential home design project work. This solid experience, combined with his advanced studies in architecture, are the solid foundations for his many insightful and innovative contributions to the TK Design team. Angela Nuveman began her architectural career almost 20 years ago, working as a draftsman with the Spicer Group in Saginaw, Michigan. In those early years, she designed residential home projects as well as commercial and recreational spaces. She did so while simultaneously attending Lawrence Technological University, where she earned a Bachelor of Science degree in Architecture in 2001. She left Spicer Group after six years to join Delcor Homes as an architectural designer working under the leadership of Todd Hallett. At Delcor, Angela designed and drafted construction documents and executed custom design requests for residential homes. She was also responsible for maintaining documentation for maintaining ISO certification, a hallmark of quality that Delcor Homes was one of the few production residential home builders to achieve. Angela worked at Delcor for almost three years. Her next architectural design position was with Global Environmental Engineering in Flint, Michigan, where she served as a designer/draftsman, drafting drawings and preparing reports for environmental engineering projects. In May 2017, Angela was recruited by Todd Hallett to join T.K. Design &Associates. A licensed builder, Angela brings to the T.K. Design team not only a broad range of career experience, but also a thorough knowledge of home building with a focus on quality construction. Pranoti Pradhudesai graduated with a Bachelors of Architecture degree from the five-year program at Bharati Vidyapeeth University in Pune, India, in 2011. While attending the university, Pranoti received recognition for her exceptional design work by being honored with several awards from the National Association of Students of Architecture, India. Pranoti’s first position after graduation was as an assistant architect with Formations Architects in Pune, India, where she served as the principle design architect for designing a school for Maharashtra Education Society Baramati. While with Formations, Pranoti also served as chief design architect for industrial plants for major firms in India, as well as working on designing office buildings and multiple residential home projects. With experience creating conceptual designs and detailed drawings for commercial, institutional, and industrial buildings, as well as residential homes, Pranoti relocated to the United States in 2014. After completing coursework in U.S. building codes and standards, Pranoti joined TK Design & Associates, bringing solid and varied design experience and a unique international perspective to the design team. Payal Swarnkar seamlessly combines two passions, a love of architecture with a love for new technology, adding additional skills and depth of knowledge to the TK Design team. Payal graduated with a Bachelor of Architecture from the National Institute of Technology in Raipur, India, in 2002, and subsequently began working as a project architect for A-Tecture, an India-based company which provided construction documentation for multiple residential construction projects in the United States. After five years with the company, Payal took a position as senior project architect for Vividh Designs in Noida, India. There Payal was the lead designer for buildings and interiors and enhanced her knowledge of green building concepts by working on Leadership in Energy and Environmental Design (LEED) certification projects for companies such as L’Oreal. Moving to the United States in 2013, Payal has spent the last five years working as a freelance architect and interior designer, designing both large and small scale residential buildings as well as providing interior design services. Payal's interest in emerging technology led to a certification in site surveying using drone technology and Payal is also knowledgeable on leveraging Robotic Total Stations to improve construction site layouts. That interest in leading-edge technology, combined with over 15 years of experience designing residential construction projects, means that Payal will always be seeking out the best, most current and most efficient ways to design homes for clients of TK Design & Associates. Before Jacob Whitting even graduated with honors from Freeland High School in Freeland, Michigan, he was already focused on a career in architecture, having taken multiple courses in both Construction and AutoCad, a computer software package commonly used by architects and designers. Pursuing his passion in architecture, Jacob graduated from the University of Detroit-Mercy with a Master of Architecture in April 2018, having previously completed a Bachelor of Architecture at the university. Throughout his university education, Jacob interned for a number of architectural and construction firms, acquiring new skills at each position. He first served a three-month internship with Case Architecture, a Freeland, Michigan, firm with 25 years of experience specializing in healthcare, commercial and civic projects. In 2015, Jacob began an eight-month internship with Schauman Construction in Saginaw, where he gained experience in residential new home construction. His latest year-long internship was served with Cobblestone Homes, a custom home builder, headquartered in Saginaw, Michigan, with a sister company, Copper Creek Homes , which specializes in high performance homes. 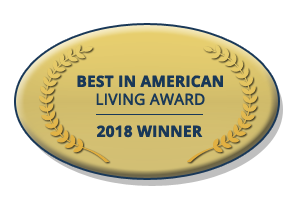 Cobblestone has been honored four times in the past several years as the Greatest Builder in the Great Lakes Bay Area and has received Dow's High Performance Builder Award and Consumers Energy Excellence in Energy Efficiency Award for residential home construction. Jacob's education, and the knowledge he acquired though his internship experiences, serve as a solid foundation for the contributions he will make to the TK Design & Associates team. It takes a team of people, each using their innate talents, to create success. Julie Drury’s talent is in managing a host of activities simultaneously in support of the staff at TK Design. It is a job that she has mastered admirably since joining the firm in 2013. Her position title might be more appropriately called Chief Administrative Problem-Solver. From fixing a jammed printer, to locating a missing document, to getting a priority mail package out the door on time, Julie works behind the scenes to keep office operations at TK Design running smoothly. Whether the task is big or small, Julie tackles it with efficiency and gets the job done. Her dedication, enthusiasm and energy for her work translate into not only superior staff support, but also great customer service. Having held a real estate license for over 13 years, Julie brings to her position considerable knowledge of the housing industry. She also has extensive administrative experience, having worked for 16 years in the offices of automotive dealerships, a software company and a carpet cleaning service, prior to joining TK Design. While Julie works quietly behind the scenes, ensuring that office operations run smoothly, her work is essential to the ongoing success of TK Design & Associates. Our homes are desired by builders and buyers across North America, and we’re a respected voice in the home design industry. Our design services are the best in the industry, ensuring satisfaction in the areas of budget, schedule, quality, and marketing fit.